All herbs, unless otherwise noted, are ground up. Put the oil in a small bottle or small jar. Grind the herbs, salt and resins then add them to the bottle. Add the piece of broken chain. Seal the container and shake it until the herbs are thoroughly mixed in. Shake the container like this once a day for at least 3 days before using. As you are blending and shaking the oil be sure to visualize your intention of hex breaking. As you mix the oils be sure to visualize your intention of blessing. When something is removed, the space must be filled up with something else. 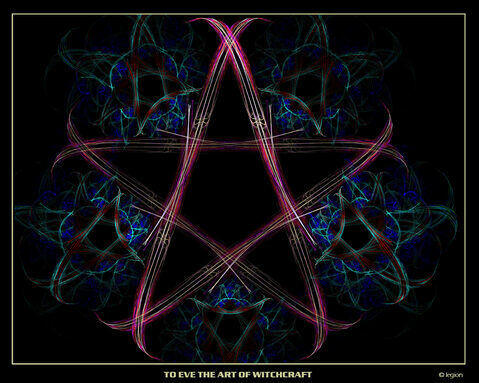 This spell will remove the hex or spell and replace it with beneficial energy. The best time to do this spell is on the Waning Moon. Read through all the instructions before starting. This way you will know what you will be doing and what the intent of the spell is for. Light the charcoal. If you hold the charcoal with tongs or tweezers and light it until the crackling stops, then place it in the incense burner. I am free from all evil. Carve one or more X's into the red candle. They don’t have to be deep or big. You can use a pen, pin, knife or anything sharp. Take the Uncrossing Oil and rub it on the candle. If you hold the candle at its wick and rub the oil towards the base it will help push the hex away from you. Make sure you turn the candle in a counterclockwise motion as you are rubbing it with the oil, and that the oil is all over the candle. Now set the red candle in its holder and place it in front of you and light it. Take the piece of paper you wrote the Hex breaking spell on and hold it over the flame so that it will burn, and all you have left is ash. If the ash is caught with an ashtray it would be wise to throw the ash into the ocean or bury it in the ground. This will rid you of the residual ashes of the hex. Put some of the incense on the charcoal and with the crow feather waft it towards you. Keep doing this until you "feel" that the incense smoke has cleansed you of the hex. Forehead, right knee, left shoulder, right shoulder, left knee, forehead. You are blessing yourself and filling the space where the hex has been with beneficial energy. The curse is lifted, as expected! Snuff out the candle unless you feel you need to let it burn down to nothing. Now either bury the candle in the ground or place it in the ocean or a stream. It is not a good idea to just throw it out, you do not want to pass any residual baneful energy onto anyone or anything else.